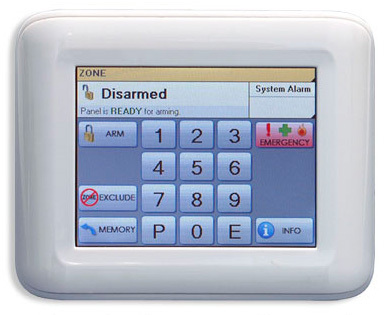 Alarms - NESS Navigator 8/16 Zone Alarm Panel Navigator Touch Screen Keypad is surely the best looking and most functional alarm interface ever made. The D8x NAVIGATOR PANEL is supplied with the Ness Navigator Touch Screen Keypad - The new face of your alarm system. Navigator Touch Screen Keypad is surely the best looking and most functional alarm interface ever made. Navigator provides both the user and the installer with unrivalled ease of use. Its self-explanatory operation guides provide you with plain English displays and intuitive touch screen operation. Navigator's many display screens make it easy to view all your zones with your own text decriptions, get help and prompts for arming. disarming, operating outputs, emergency alarms and much more. Supplied with a Navigator Touch Screen Keypad, Plug Pack, Battery, Telephone Lead, Housing and Manuals.